Corpse-Party is the story of five students who are trapped together in a haunted high school. Can they all escape with their lives, or will they join the hundreds of vengeful spirits that haunt the school? Many of you may be familiar with Corpse Party, the anime slasher horror game series for the PSP and PS Vita. But Corpse Party on PSP is actually a remake of Corpse-Party, a 1996 game for the PC98. 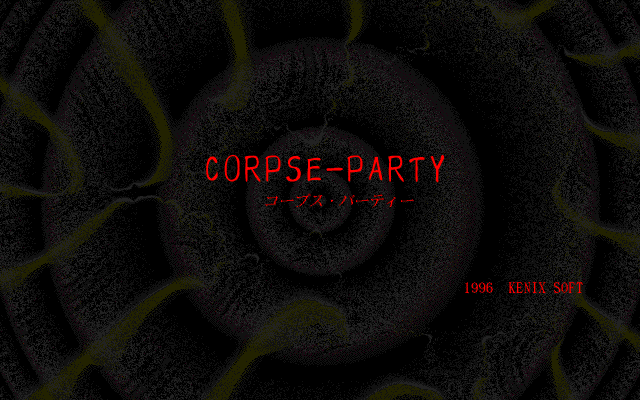 Corpse-Party was made by Makoto Kedouin with RPG Tkool Dante 98, an RPG Maker software for the NEC PC-9801. Corpse-Party is very impressive for an RPG Maker game, with surprisingly good atmosphere and writing, and a complicated branching story with seven possible endings. 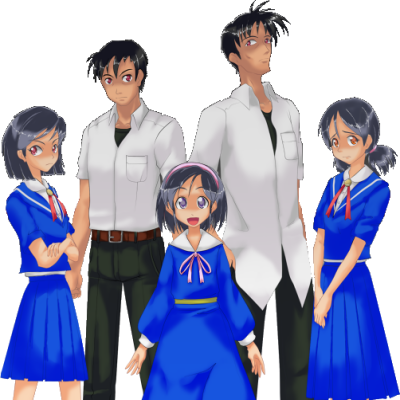 Corpse-Party won second place in the 1997 Annual ASCII ENTERTAINMENT competition, winning Kedouin's company Kenix Soft a prize of five million yen. Unlike Corpse-Party, Corpse Party -Rebuilt- is available in English, thanks to a translation effort by the Memories of Fear team. 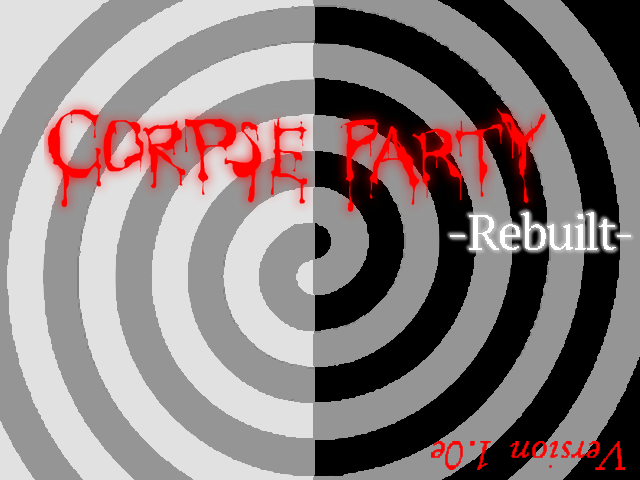 Corpse Party -Rebuilt- is freeware and you can download it and play it yourself here! As I said above, the PSP version of Corpse Party is a remake of this game, but they're vastly different. They tell the same basic story, but the modern version has a larger cast of characters, slightly different backstory, and is significantly longer. If you're familiar with the PSP game, this game is an interesting sight, just to compare and contrast what stayed the same and what changed. The game has a total of seven endings, many of which were adapted into Wrong Endings in the remake. The LP will first show Ending A, the game's true ending. Afterwards, I'll show off the remaining endings in bonus updates. Since Corpse Party tells the same story as this game, I would like to request that you DO NOT DISCUSS SPOILERS FOR ANY GAME IN THE SERIES . Obviously, discussing the PSP version as it compares to this game is fine, but do not discuss events that have yet to be shown in this game, and do not discuss any plot details from Book of Shadows or Blood Drive, even in spoiler tags. If you're interested in checking out the rest of the series, Both Corpse Party and Corpse Party: Book of Shadows are available on PSN for both PSP and PS Vita, and Corpse Party: Blood Drive is coming to Vita in October with both a PSN and retail release! Corpse Party is a good game worth playing. Do not buy Book of Shadows. I also made LPs of both games! You can read those if you don't have the means to play the games yourself. Our cast of characters, with official bios taken from in-game. The image on the left shows how the character looks in Corpse Party -Rebuilt- (and by extension, this LP), and the image on the right shows the character's original appearance in the PC98 game. A second year student in Kisaragi Academy Senior High. Satoshi is a bit timid and some would say a coward, but he would do anything for his younger sister. He's reliable in a pinch. In fact, he's the protagonist of this game. He and Naomi have a bit of a power struggle. Ever since junior high, she and Satoshi have had a tense relationship. She's always greeted him with, "I'm SO sick of you!" Satoshi's younger sister. Currently a second year student at Kisaragi Academy Junior High School. She got mixed up in all this while delivering an umbrella to her brother. Spoiled by her family, she acts much younger than she really is. Although he seems a bit cynical and rebellious, in actuality, he's just frank and honest. Which is why he didn't fight it too much when he was put onto the class committee via ballot. And also why he showed up to prepare for the coming school cultural festival. The class representative who loves to scare people. She loves to tell ghost stories and it's rumored that's why she carries around a bunch of candles. In actuality, she tells those stories to hide her own fear.